OpenSinai.com is not about blog posts or articles. OpenSinai.com is about transcending the one-dimensional relationship of written text and reader and it is about taking advantage of high tech capabilities to offer real time, interactive e-learning possibilities for anyone wanting to enrich their lives. Your physical proximity to a major Jewish metropolitan area should not be the deciding factor in your ability to take part in dynamic Jewish learning. You do not need to be constrained by your geographic area or your busy schedule to find and take part in learning with passionate and learned educators from all Jewish backgrounds. The educators will be borderless, coming from all walks of life and life experiences. The technology will enable seamless integration of multimedia and real time conversation not just one-directional from the educator to the students but between the educator and the students and between the students themselves. 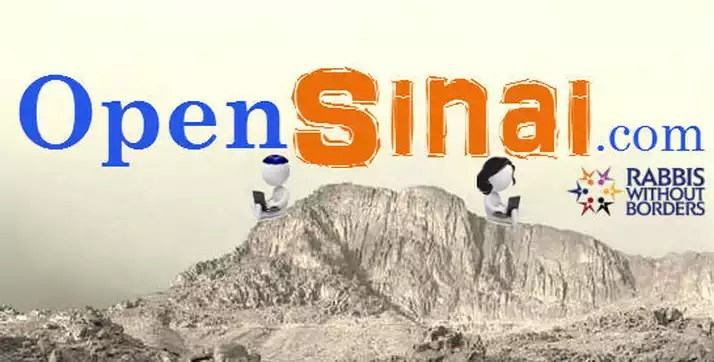 OpenSinai.com is about offering Jewish learning everywhere. It is not about blog posts or articles but about facilitating real-time classes utilizing the best in digital learning technology that allows for meaningful conversations. No matter whether someone lives in the heart of New York City and is looking for a radically pluralistic borderless Jewish learning space or lives in a small community in the Midwest and is looking for Jewish enrichment, OpenSinai.com aims to provide those classes that fills that need. OpenSinai.com will start out being incubated at Clal, with help from them and the director of Rabbis Without Borders, Rabbi Rebecca Sirbu. Since the project is “in the beginning stages” and “each week brings new developments”, one can visit the website, like it on Facebook, follow it on Twitter, or join the OpenSinai.com e-mail list to get the latest updates and find out when the first classes will be live. They are currently looking for educators to take part in this new project, about which you can find out more on the website. Rabbi Greenberg is also looking for your input on this new project.